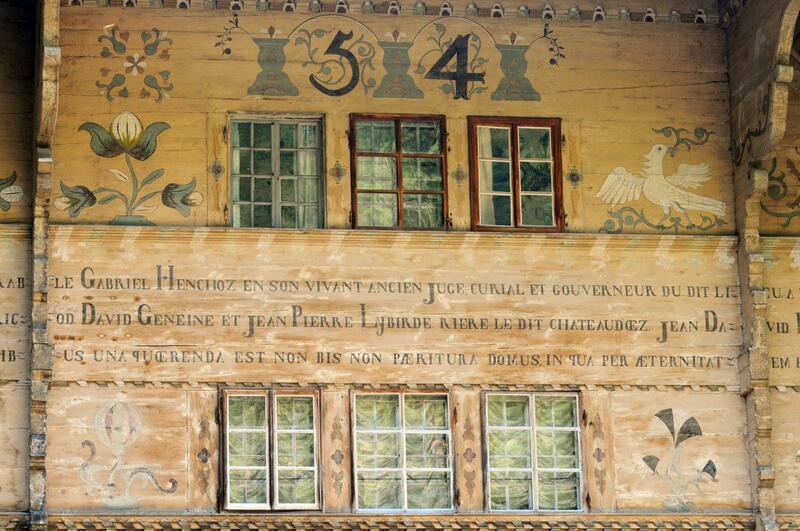 The Grand Chalet at Rossinière transcends all superlatives: 500 square metres of ground surface, 5 floors, 113 windows, a painted inscription containing 2,800 letters. 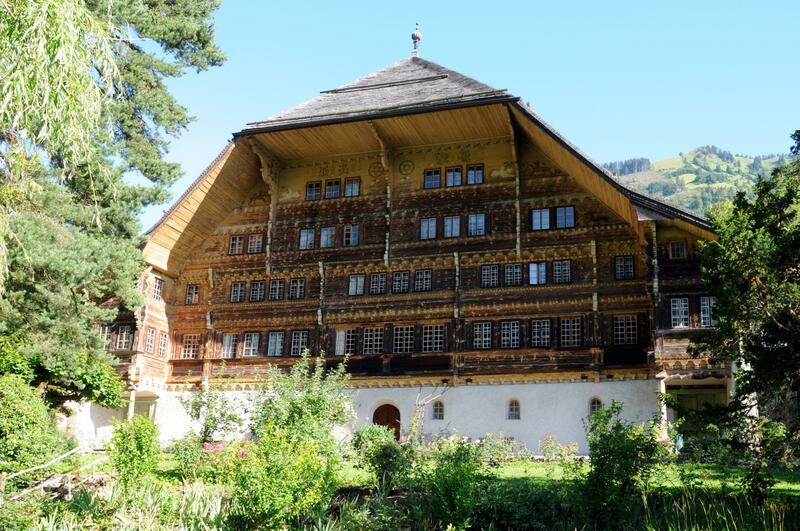 This is the largest inhabitable wooden house in Switzerland in a region – Pays-d’Enhaut – where wooden buildings have reached a high level of refinement. 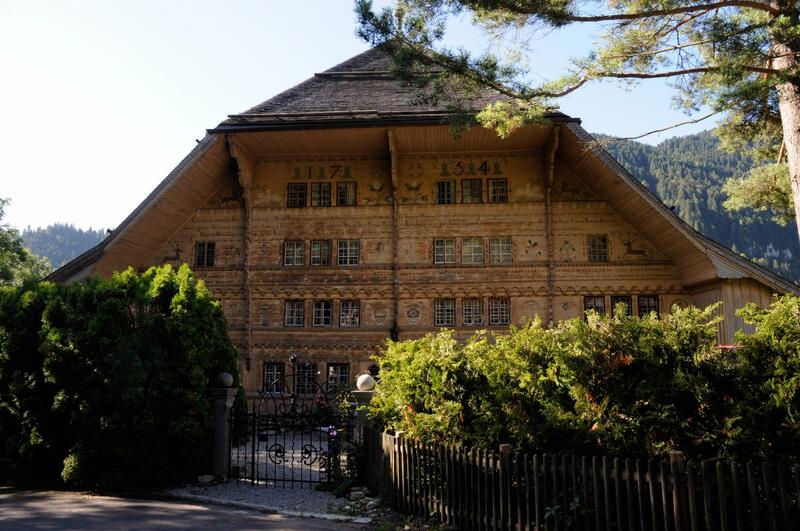 The Grand Chalet was built between 1752 and 1756 on behalf of Jean David Henchoz, a farmer, notary and judge who wanted to create “a house for cheese”. The cellar dictated the chalet’s dimensions: it was planned for 600 loaves of cheese in their refining stage. The ground floor was intended for commercial exchanges where merchants from Bulle, Vevey and Lyon negotiated sales and exports. In 1977, the painter Balthus (1908-2001), Count Balthazar Klossowski of Rola, acquired the Grand Chalet in Rossinière, where he lived with his wife and his daugher, painted and received other artists. Grand Chalet is a private property and cannot be visited.